Illustrate your designs on the Silhouette and craft with the best of them. We handpicked this because you are a natural creator. You live and breathe design. You just need the tools to show off your innate ability. 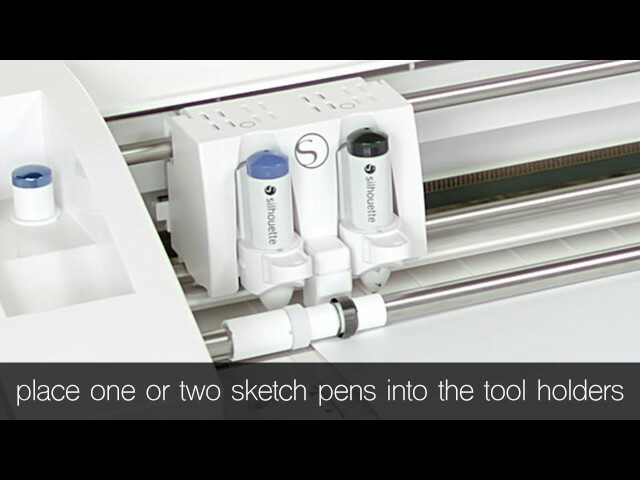 The Silhouette Sketch Pens allow the Silhouette to sketch rather than cut, so you can illustrate designs for decor, cards, layouts, stickers, etc. Shop the pens you need to get started or replenish your supply and start crafting with the best of them! Home of the innovative Cameo and Portrait die cutting machines, Silhouette takes crafting to the next level. From scrapbooking to home decor, use fabric, paint and more to create almost anything you can imagine. Personal die cutting at it's finest.